Silvermine is a photographic portrait of the capital of Beijing and the life of her inhabitants over the last thirty years. 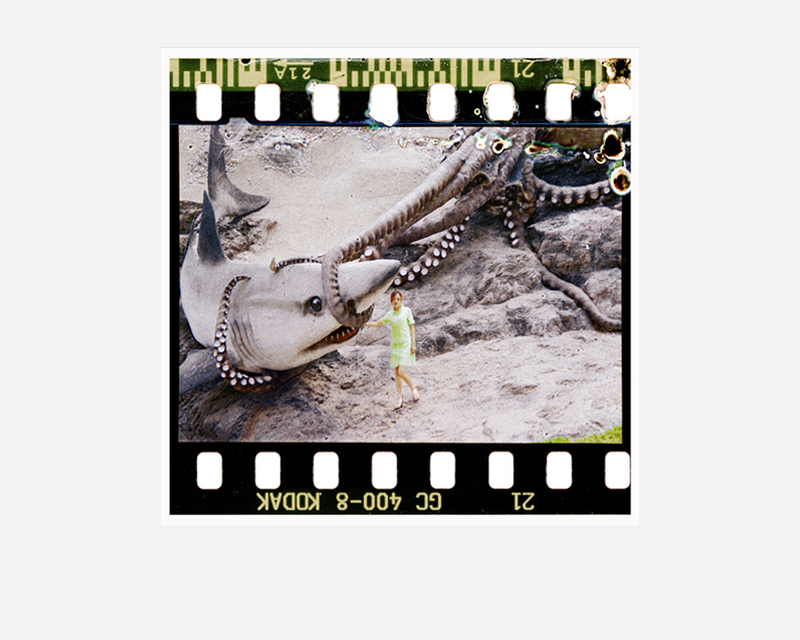 This vast archive of 35mm color film negatives, taken by ordinary and anonymous Chinese, unearths discarded souvenir snapshots, often amusing, banal or intriguing, sometimes awkward, yet above all, undeniably authentic. Thomas Sauvin collected all of the negatives from a recycling zone where they were destined for destruction. The birth of Silvermine in May of 2009 meant the end to this massacre of photographs, rescuing a multitude of memories from certain death. On display in Singapore is a selection of over 200 photographs that brings audience back to the ’80s to late ’90s. Thomas Sauvin tirelessly archives the images that surround him. In 2003 he moved to China and in 2006 he began working as a consultant for the English archive, Archive of Modern Conflict (AMC), for whom he continues to collect Chinese work, from contemporary work to period publications to anonymous photography. The collection includes thousands of prints and highlights the works of more than fifty contemporary Chinese photographers, particularly the avant-garde works of Moyi, the misty wanderings of Qiu, and the insolent snapshots of Liu Yiqing. A glimpse into this collection is presented in the photo book Happy Tonite published by AMC in 2010. Yet the collection is vast, including all sorts of photo books and photo albums produced since the birth of the People’s Republic of China in 1949, ranging from imposing publications celebrating the 10th Anniversary of New China to photo albums taking inventory of herbal medicinal plants to instruction manuals from the late eighties depicting steps for breakdancing. In parallel with his research for AMC, Sauvin has accumulated more than a half million of anonymous colour negatives once destined for destruction in a Beijing recycling zone. Taken by ordinary and anonymous Chinese, they offer us slivers of daily life during the peak period of popular silver film usage in China. These photographs complete this chain of images more than half a century long.